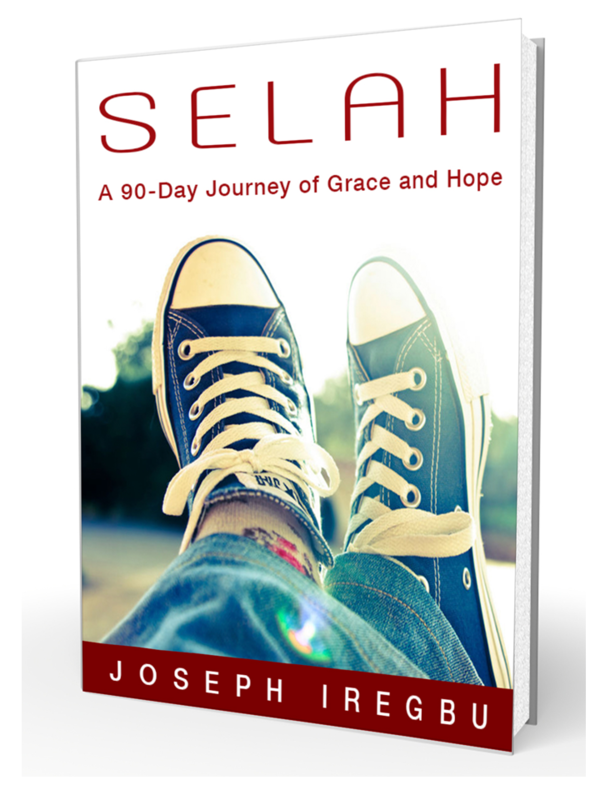 A month ago, I asked you to help me choose the cover of my upcoming devotional, SELAH: A 90-Day Journey of Grace and Hope. And you did. After narrowing it down to 3 options, I asked you (again) which you would buy. You responded. It’s one thing to write a book, it’s another to release it to your audience. Helping me choose my book cover has been a huge step towards reaching my book goal and I’m glad you’re part of this journey. But for now, it’s appropriate to say THANK YOU for all you’ve done so far. The devotional calls us to linger, pause and ponder. Converse fitted perfectly. Feedback showed people are not worried about the image supposedly youth appeal. The shoes, overlooking a bright sky (maybe the rising sun too) provokes a powerful visual and mental image of hope. And the crossed legs (without a face) could be you – pondering and taking in God’s daily grace. I’ve set up a Facebook Page, finalizing the book website and my publisher has received the final copy edits to commence the conversion process for Kindle and other e-book reading devices. Keep an eye out for my post calling you to apply to join my Launch Team soon. I can’t wait! It’s been a long journey to get to this stage and your readership has inspired me to push this project toward the finish line. I am grateful. Sincerely, I am. I absolutely love the book cover and much of that creativity is attributed to my awesome cover designer, Donya Dunlap. I couldn’t recommend her enough!